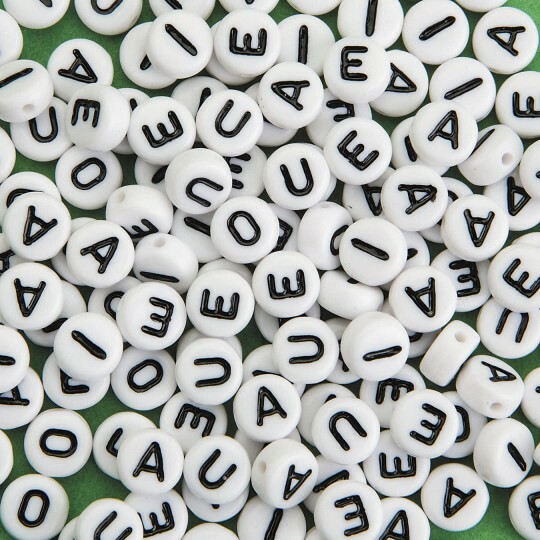 Our quality plastic beads in vowels only. Pack includes 40 A's, 40 E's, 36 I's, 14 O's and 14 U's. 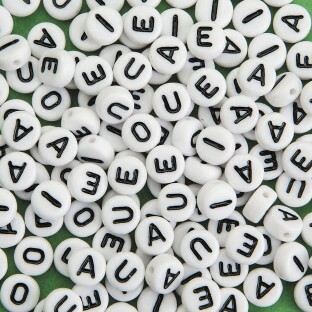 Plastic Vowel Beads, our quality plastic beads in vowels only! Pack includes 40 A's, 40 E's, 36 I's, 14 O's and 14 U's. 6mm.